According to the modifications in the Motor Vehicle Act, modifications of any sort to the stock models of cars and bikes are considered illegal. A new Supreme Court ruling states that vehicles registered under Section 52(1) of Motor Vehicle Act should comply with original specifications of the manufacture. Any aftermarket modifications made will be considered illegal. However it has been found that owners of two and four wheelers are blatantly ignoring this ruling. Following stern action being taken by other states across India, Kerala Motor Vehicle Department has also cracked down on modified cars and bikes. Notices have been served to 65 vehicle owners of cars, SUVs and two wheelers since the past weekend. They have also seized a modified Mahindra Bolero at Panampily Nagar, Kochi. 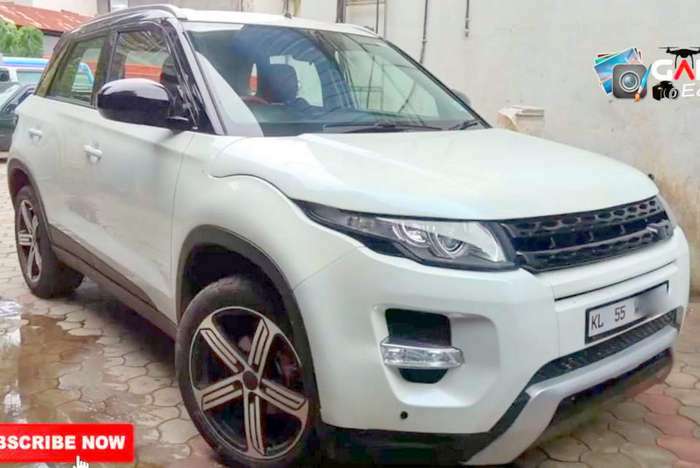 Brezza modified to look like Range Rover Evoque. Image used for representation. Called as ‘Operation Freaken’ officials of Motor Vehicle Department, Kerala conducted operations through Friday and Saturday, March 22nd and 23rd. The drive was led by K Manoj Kumar, Enforcement RTO, while this initiative will be extended and increased over the coming days. This drive was undertaken following reports from various residents in the area of these modified vehicles emitting loud sounds, causing much disturbance to the locals. Among the vehicles seized was an SUV of a non resident who had got his vehicle modified in Delhi for an amount of Rs.7.5 lakhs. The vehicle was fitted with additional lights and a powerful silencer while steering was also replaced. A fine of Rs.2,000 was slapped on the offender. The authorities are permitted to not only issue hefty fines on these modified vehicles but to also seize the vehicles and recommend cancellation of registration certificates. 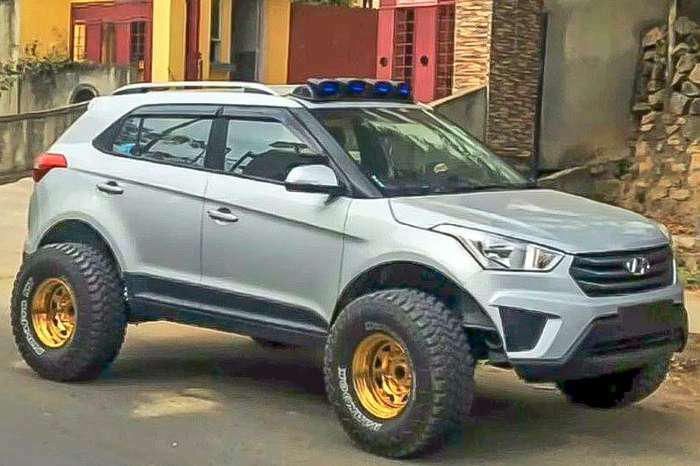 The authorities across the country have come down heavily on the owners of these modified vehicles. Any sorts of alterations that range from modified exhausts that change the decibel levels and emission output, to changes in color, tyre size, spoilers or body parts are all considered illegal. The rule indicates that there can be no structural changes to body or chassis and even to replace the engine of an old vehicle with a new engine to enhance capacities will require permission from the local RTO. While it is found that many owners of modified vehicles drive off on sighting these RTO officials or the police, it was in Maharashtra that a new trick was used to nab the offenders. The Mumbai Police recently posed as Godmen and beggars in a bid to outsmart these owners of modified vehicles and waited at traffic lights to impound these vehicles.